Some research suggests that using a dummy when putting a baby down to sleep could reduce the risk of SIDS. 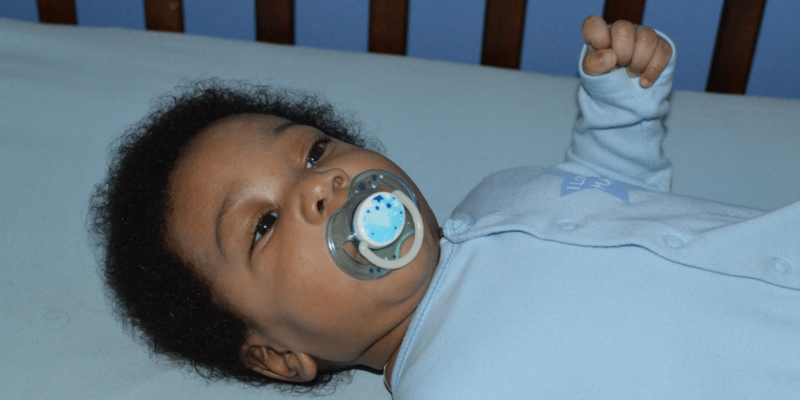 Please read our safer sleep advice on dummies and SIDS. We do not know exactly what it is about a dummy that may help reduce the chance of a baby dying of SIDS. As with most of the safer sleep information, we only know that there is good evidence to show what you can do to reduce the chance of SIDS, and what increases the chance and what should be avoided. You can find more information about sleeping your baby safely and dummies and SIDS on our safer sleep for babies advice pages.